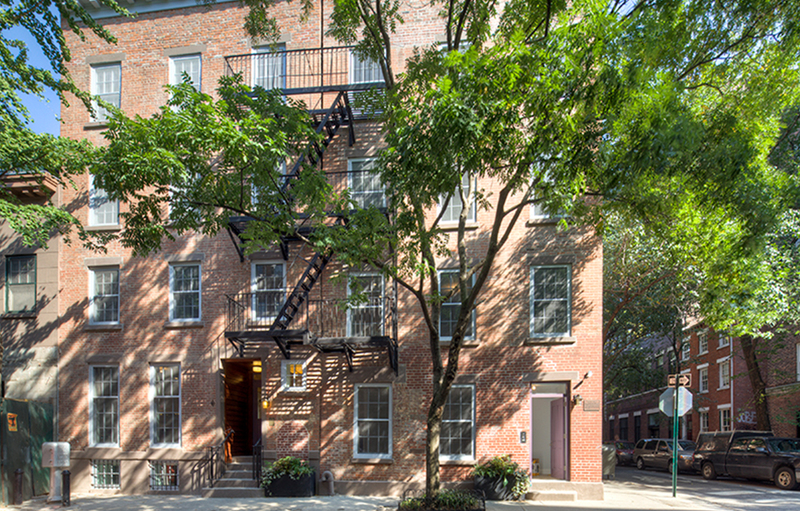 Margaret Streicker Porres, president of Newcastle Realty Services, announced that the offering plan has been accepted at 84 Bedford, a boutique, pre-war West Village condominium that opened for sales August 2. Situated in the heart of the West Village, 84 Bedford is an 18th century brick townhouse, restored to honor its original design. With just nine studios, one-bedroom plus home office, and two-bedroom duplex residences, 84 Bedford offers the rare opportunity to own an architecturally authentic condominium home, on an intimate scale, in one of New York’s most coveted neighborhoods. All of the residences at 84 Bedford have tree-lined views, and elegant finishes, selected for their environmental sensitivity. The residences also include solid grey-washed walnut floors, gas or wood burning fireplaces with custom marble surrounds, independently controlled four-season HVAC, and wooden double-paned Marvin windows. Closets are primed for customization and each home is pre-wired for speaker installation. Open kitchens are appointed with Fieldstone custom cabinetry finished with a pearl-tinted varnish and concealed hinges, Bertrazzoni ranges, and integrated stainless steel sinks with a seamless countertop and garbage disposal. Baths feature cross-cut ocean travertine stone tiles, artistic glass tile accents, Cifial solid brass hardware in polished chrome, and Duravit fixtures. Additional highlights include a furnished roof terrace with a community grill and expansive city views and wine storage in the basement. The refined lobby boasts a computerized proxy card key entry and remotely monitored security cameras. Occupying a quiet corner of Bedford and Barrow Streets, 84 Bedford sits at the intersection of a vibrant, eclectic neighborhood. The West Village is appealing, with an abundance of cultural institutions, recreational destinations, theater, world-class dining, and shopping. Anne and Amanda Young of Brown Harris Stevens are exclusive marketing and sales agents for 84 Bedford. Residences at 84 Bedford are priced from $466,500 to $2,124,250. For more information, call (212) 712-1130. Newcastle Realty Services was founded in 2004 by Margaret Streicker Porres. Since 2002, Streicker Porres has been responsible for the asset repositioning of over $200 million in NYC property including day-to-day operations, construction management, and legal management.